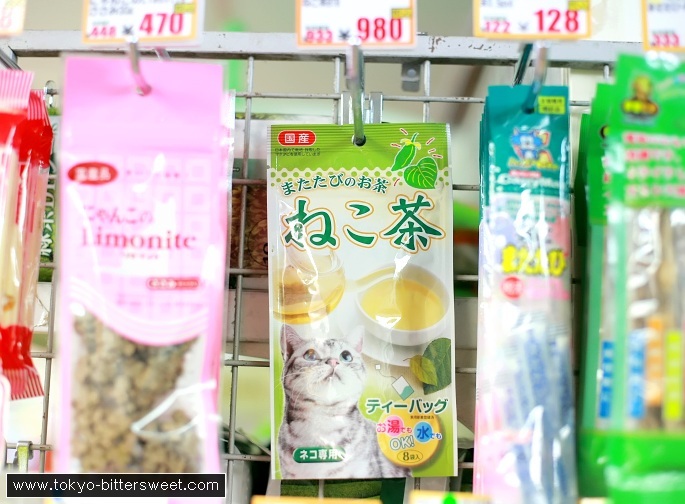 “Cat Tea” (ねこ茶) — yet another product for the spoiled pets of Japanese housewifes. It’s not tea of cats but for cats! If you ever long to have tea time with your cat, this is the beverage to get. Suited for hot and cold water this herbal catnip tea (またたびのお茶) comes in easy-to-use tea bags. Seen in a pet shop in Shimokita.